The WWE discloses more information regarding their relationship with Alpha Entertainment, an amendment to Vince McMahon's agreement, Meiko Satomura & Toni Storm added to the Mae Young Classic, free G1 Podcast covering today's show, MLW special tonight, AXS begins G1 coverage, UFC in Calgary weigh-ins & more. **Today’s G1 podcast is a special free edition of the show with Wai Ting & I reviewing today’s A Block card from Hamamatsu featuring Kazuchika Okada vs. Yosho-Hashi in the main event. On the show, we also go through our pick for the best A Block performer at the mid-way point, a review of my 1977 & 1978 seasons on Baseball mogul, and the latest standings for our POST Wrestling G1 contest. The show is available free for download can be accessed on both the POST Wrestling and POST Wrestling Café RSS feeds. **For members of the POST Wrestling Café, we also have this month’s edition of ASK-A-WAI. Wai & spent over two hours answering about 60 questions and we got some great ones this month. I enjoy doing this show a lot as the questions cover a wide range of topics and delve into both wrestling and POST Wrestling topics, as well as topics we never get to on the regular shows. If you a member of the Café you can access the show now along with every bonus show we have done, including nine G1 podcasts and counting. -On April 3rd, an amendment was made to Vince McMahon’s employment agreement regarding his duties with both the WWE and Alpha Entertainment. The amendment states that McMahon will “devote substantially all of his full working time to the business and affairs of the company (the WWE). It goes on to state that McMahon can engage in other business and charitable activities that don’t create a conflict of interest or the appearance of a conflict of interest that affect his performance of his obligations within the WWE. The amendment states that there is nothing withholding McMahon from serving as a founder, owner, investor, officer, board members, advisor, spokesperson of or other affiliated with Alpha Entertainment. 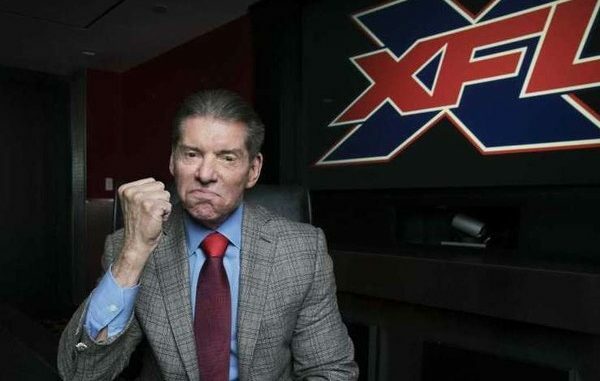 -The 10-Q filing listed transactions that the WWE entered with Alpha Entertainment on April 3rd that granted Alpha Entertainment the rights to launch a football league under the name “XFL”. The WWE received an equity interest in Alpha Entertainment without payment or any financial obligations. Included in the transactions, was the WWE’s agreement to help with administrative support with the costs of those services billed to Alpha Entertainment, with the amount being noted as “insignificant” in the first period of the agreement. -This year, they spent $14.4 million producing non-live event programming, that included Season 3 of Total Bellas, Season 7 of Total Divas, Miz & Mrs, and other WWE Network programming. This was significantly higher than the spending in the same period last year of $7.6 million on Total Bellas Season 2, Total Divas Season 7, the UK Championship Series and other WWE Network programming. **Despite a lot of buzz coming off Slammiversary, this week’s episode of Impact Wrestling only saw a small jump to 299,000 viewers on POP TV. The number is up from 275,000 for last week’s ‘go home’ episode. **The latest names announced for next month’s Mae Young Classic are Meiko Satomura and Toni Storm. Satomura debuted at the age of 15 in April 1995 after being trained by Chigusa Nagayo and wrestled for Gaea Japan for ten years until the promotion shut down in 2005. Alongside Jinsei Shinzaki (who wrestled in North America as Hakushi), she formed Sendai Girls in 2006, which continues to run today. Satomura also held the World of Stardom title in 2015, defeating Kaiji Hojo and dropping it at the end of 2015 to Io Shirai. Storm was part of last year’s tournament and emerged as one of the top female stars in the world through her work in Stardom, Progress and other promotions. As a member of the Stardom roster, she also held the World of Stardom title, dropping the title this past June to Kagetsu. She also won their annual Cinderella tournament in 2017. In the 2017 Mae Young Classic, Storm went to the semi-finals losing to Kairi Sane and then resumed her career in Stardom. **This week’s episode of Lucha Underground averaged 125,000 viewers on the El Rey Network featuring the Gift of the Gods Match. The show was down 10,000 viewers from the week prior. After seven episodes this season, the show is averaging 120,000 viewers in their Wednesday night timeslot. **The Raw crew has a live event in Columbus, Georgia tonight that is advertising a tag main event with Roman Reigns & Seth Rollins vs. Baron Corbin & Drew McIntyre and Braun Strowman vs. Kevin Owens. On Saturday, the Raw crew is in Tallahassee, Florida. The SmackDown crew starts Saturday night in Wildwood, New Jersey with AJ Styles, Shinsuke Nakamura and Samoa Joe among the talent advertised. **The NXT crew held a show Thursday night in San Diego and was headlined by Tommaso Ciampa defeating Aleister Black to retain the NXT title with Johnny Gargano getting involved after the match. Lars Sullivan defeated an unadvertised Tyler Breeze on the show as well. The NXT crew continues in Riverside, California tonight with an alternate NXT crew running in Jacksonville, Florida. **Marina Shafir had her first live event match on Thursday night at the NXT house show in Largo, Florida. Shafir teamed with Nikki Cross to defeat Aliyah and Rhea Ripley with Shafir submitting Aliyah. Both Shafir and Jessamyn Duke reported to the Performance Center earlier this year with both joining Ronda Rousey and Shayna Baszler, transitioning from mixed martial arts to professional wrestling. Shafir is 30-years old and was born in Moldova. She was 1-2 pro career with her last fight in July 2015 where she was submitted by Amber Leibrock at the Invicta FC 13 event. **Matt Riddle is scheduled to work for Combat Zone Wrestling on Saturday night in Voorhees, New Jersey against Johnny Silver. The promotion put out an advertisement calling it one of Riddle’s last independent appearances before reporting to the WWE. The advertisement has since been pulled but not before it was circulated everywhere. **David Bixenspan at Deadspin looks at the turnaround of Impact Wrestling over the past months that culminated with a tremendous pay-per-view last weekend in Toronto. **Dolph Ziggler (Nick Nemeth) turns 38 years old today. **Juice Robinson cut a tremendous promo following his loss to Kenny Omega on Thursday. A lot of people loved his promo ahead of the Cow Palace show, but this one was better in my opinion. **LFA has a card at 9 pm Eastern tonight from Newport News, Virginia that is headlined by James Nakashima taking on Kyle Stewart on AXS TV. John Pollock & Wai Ting spend over two hours answering your questions with Likely / Unlikely scenarios, Impact promoting their GWN app and running on Twitch, future stars in WWE, New Japan talent that could work in WWE one day, the memorably G1 event from 2013 & tons more. Birthday Boy Braden Herrington chats with Davie Portman about the Tommaso Ciampa title win over Aleister Black, his recent concerts he has attended, their upcoming move & take your feedback. Oli Court & Benno are back to chat all the latest UK wrestling news, the Spanish wrestling scene, and reviews of some big shows over the past few weeks. John Pollock & Wai Ting review another strong edition of SmackDown, discuss the new SummerSlam matches, the show-closing Miz segment with Daniel Bryan and Pollock reviews his 1994 Baseball Mogul season.